As we conclude Women’s Herstory Month, I continue to get inspired and appreciate more than ever the women in my life. The hard work and dedication these artists give to the Arts community in our beautiful city of Los Angeles must be recognized. Que Viva La Mujer! A skilled artist will make you enjoy their art; its aesthetics, its presence but a true artist will make you feel more than; you feel a connection with their ancestry, their culture and every sentiment that was processed while creating a masterpiece. This is exactly what Lilia Ramirez “Liliflor” represents to the Arts and Mujeres in Los Angeles, California. Lilifor has been involved in the Arts community since the early 1990’s. Her influence in the Mexican American culture, Xicana culture and most importantly as a Mujer has made a strong positive impact in our communities. She uses art not only as a form of expression but also gives the spectator a unique experience in every subject matter she delivers. You can feel her paintings; it is incredible to have that ability to heal the spectators by simply looking at your art. 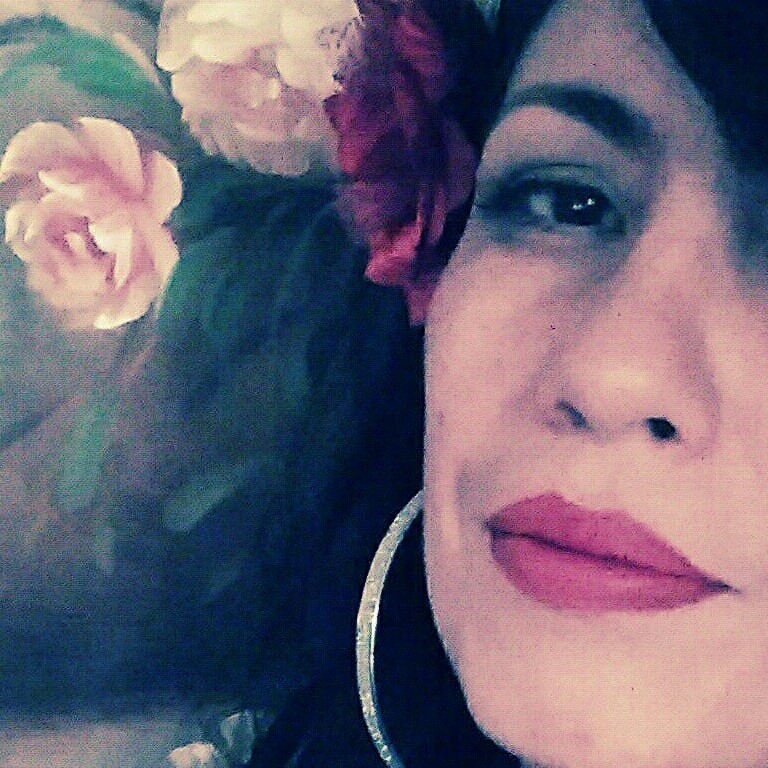 Liliflor has been in numerous art exhibits, performances and activism for over 20 years. Liliflor is the definition of creativity and using it to its full potential. She is also an art educator for the youth by utilizing the art form as a healing process. Co-founder of the Peace and Justice Center (PJC). Liliflor leads by example and her hard work has earned the respect and appreciation for her dedication to support and commit to the youth for over two decades now. Liliflor is also the co-founder of Liliflor Collective Studios; and she has also been involved with the Mujeres de Maiz as a Director of Annual Exhibitions. And she continues to contribute to the Arts; the list can go on with all the amazing projects she has been involved in and up to this date she continues to inspire us all! You will always find her at art events, where poetry is heard and where justice for the arts and latino communities needs to be served. We are very lucky to have her representing us in the arts as a healer of our conciusness as well as an advocate for our youth. It is so inspiring to know a woman of this status; she lives for Art, justice, beauty, healing and education. But most importantly, the role she plays in the life of many of us is by giving us that strength, that extra push to make us better women for tomorrow. Her passion for righteousness and for keeping traditional art alive has placed her in this list of Mujeres Luchadoras. We are looking forward to more amazing art and poetry from this beautiful strong Mujer. La Bulla Art Exhibit & Cultural Event @ Plaza de la Raza this weekend! La Mano Market: Made in L.A.